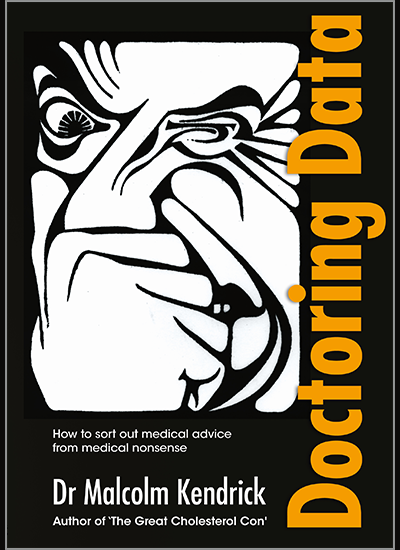 How to sort out medical advice from medical nonsense. Is coffee good for you? Will sausages kill you? Should you avoid sugar, fat, salt or all three? Booked your smear test yet? Checked your balls? Or should you just ignore this relentless bombardment of medical advice and remember that no one gets out alive? With the same brilliance and humour that bowled us over in the "The Great Cholesterol Con", Dr Kendrick takes a scalpel to the world of medical research and dissects it for your inspection. He reveals the tricks that are played to make minute risk look enormous. How drugs trials can be hyped, the data manipulated, the endless games that are played to scare us into doing what, in many cases, makes the most money. After reading this book you will know what to believe and what to ignore. You'll have a much greater understanding of the world of medical research.
" It is simply no longer possible to believe much of the clinical research that is published, or to rely on the judgement of trusted physicians or authoritative medical guidelines. I take no pleasure in this conclusion, which I reached slowly and reluctantly over my two decades as an editor of The New England Journal of Medicine. " Click on your option and then add to cart. Thank you for supporting the author and publisher by purchasing direct. Books are in stock and orders are dispatched within 48 hrs. Malcolm Kendrick is the Mark Twain of medical writers, wielding his own pen warmed up in hell - hell, in this case, being a medical system designed to persuade doctors that nearly everyone with a pulse is abnormal and in need of treatment. In fact, I can summarize Kendrick's Doctoring Data by paraphrasing Twain himself: "If your doctor doesn't read the medical literature, he is uninformed. If he does read the medical literature, he is misinformed." Your doctor can afford to be misinformed. You cannot - that is, unless you don't mind being diagnosed with a previously unknown "disease" ... which was discovered just in time to coincide with development of a new wonder drug ... which was approved based on suspicious data ... from a study designed and run by the drug-maker ... which paid key opinion leaders to sit on a government committee that wrote the treatment guidelines ... which instruct your doctor to prescribe the new wonder drug ... which produces nasty side-effects ... which must be treated with more wonder drugs. Kendrick pulls back the curtains and invites the reader to understand how this system works (or more correctly, doesn't work), serving as a tour guide who happens to be as laugh-out-loud funny as he is informative. For your own protection, I suggest you take the tour. Tom Naughton, health blogger and writer/director of the documentary "Fat Head: you've been fed a load of bologna." Dr Kendrick graduated from medical school in Aberdeen and trained as a General Practitioner in Scotland. After ten years he split his time between General Practice and education. On the doctor side, Malcolm currently lives and works in Cheshire in General Practice, Intermediate Care and Out of Hours. On the education side, Malcolm set up the on-line educational system for the European Society of Cardiology, working with the European Commission and also set up the first website for the National Institute for Clinical Excellence (NICE) in the UK. 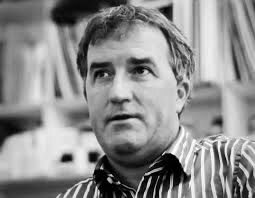 Malcolm is an original member of the Centre for Evidence Based Medicine in Oxford and of The International Network of Cholesterol Sceptics (THINCS). The latter comprises a group of scientists, doctors and researchers who share the belief that cholesterol does not cause cardiovascular disease. This is the field of medicine for which Malcolm is best known. His long term interest in the epidemiology of cardiovascular disease has resulted in many publications in journals such as the BMJ, Medical Hypotheses, Pulse and PharmacoEconomics. His breadth and depth of expertise in this area led to his election to Who's Who in 2009. The Great Cholesterol Con was the book that firmly placed Malcolm on the world stage of the 'diet-cholesterol-heart' hypothesis and his army of followers are eagerly awaiting his next bout of wit and wisdom. Malcolm blogs at drmalcolmkendrick.org and lectures by invitation. Married with two children and two cats, Malcolm would like more people to challenge the status quo, and never just accept the party line. He likes to ski, golf, sail, play squash, walk in the hills and drink...not necessarily in that order.